The canoe racers versus the waves. All photos by Jeralyn Gerba. Tell those honeymooners to get out of the way! There's a party happening out on the water. And everyone's invited. TAHA'A, French Polynesia – Soccer. Tennis. Swimming. 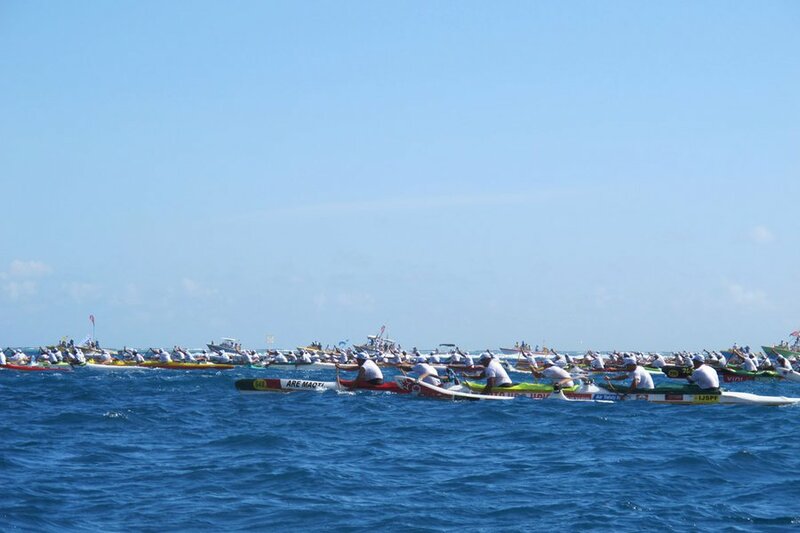 Forget it: The biggest sporting event in all of Polynesia is an outrigger canoe race. 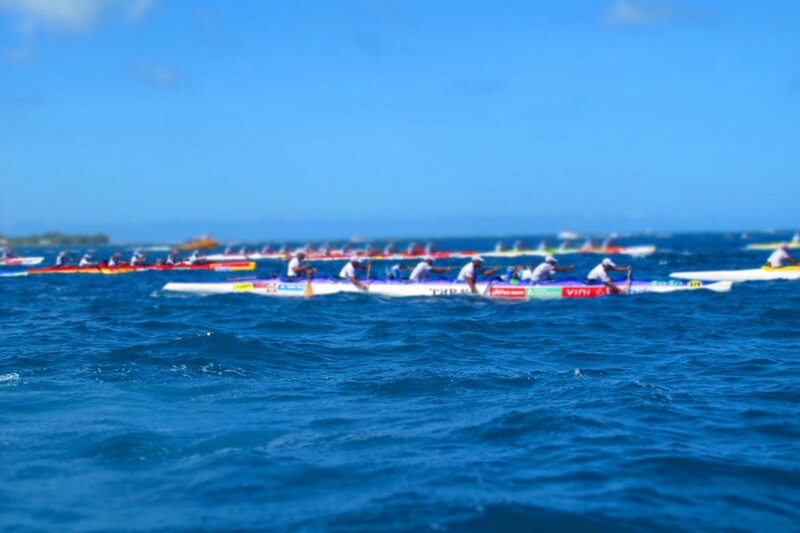 Every November, 100 teams of six paddlers, from Hawaii to the Marquesas to France, compete in the three-day, inter-island race known as . 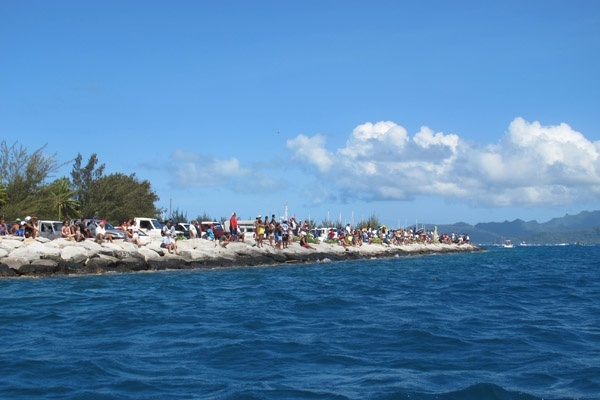 First, there's a 44.5 kilometer hustle from the island of Huahine to the island of Raiatea. 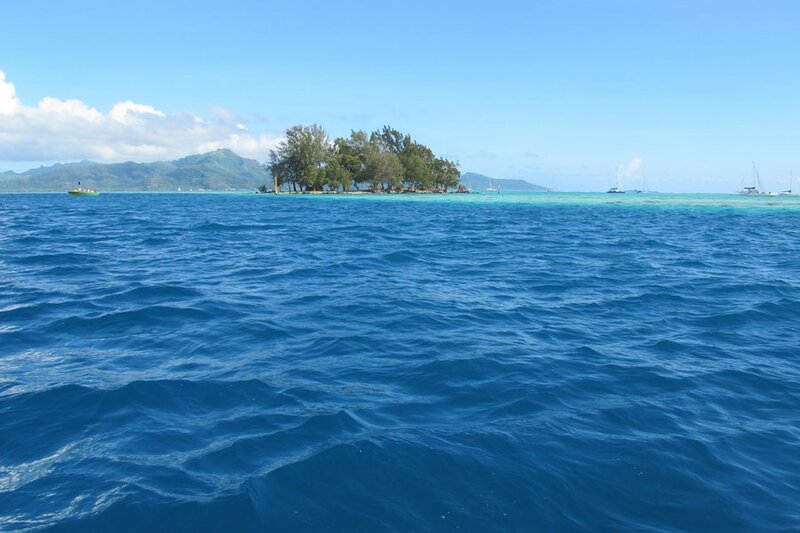 Next, a speed race within the lagoon between Raiatea and Taha'a. Finally, an endurance paddle of 52 kilometers across the ocean to Bora Bora. Luckily, I was staying on the island of Taha'a just in time to catch the second leg of the race. 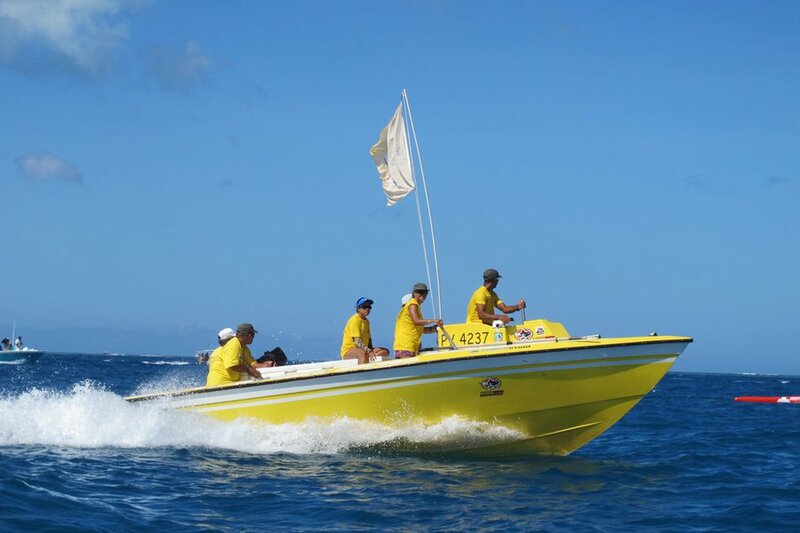 The lovely and low-key resort I was staying at, , called in a party boat run by the terrific, fun-loving Terainu Tours Tahaa, who took about a dozen hotel guests out to the races. We filled up the boat with beers and snacks and sunscreen, then sped to the open water ahead of the canoes. The scene was awesome. 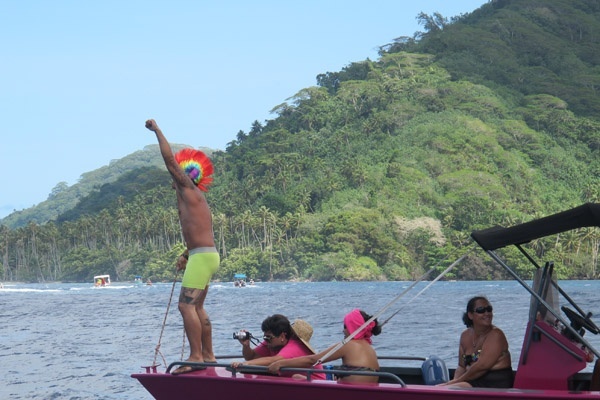 People lined the shores, tailgated in kayaks, motored around in dinghys, strutted the bow of gleaming Catamarans, showed-off in speedboats, and went crazy cheering for their favorite teams. We made out the canoes in the distance as party boats jockeyed for position closer and closer to the gliding outriggers. 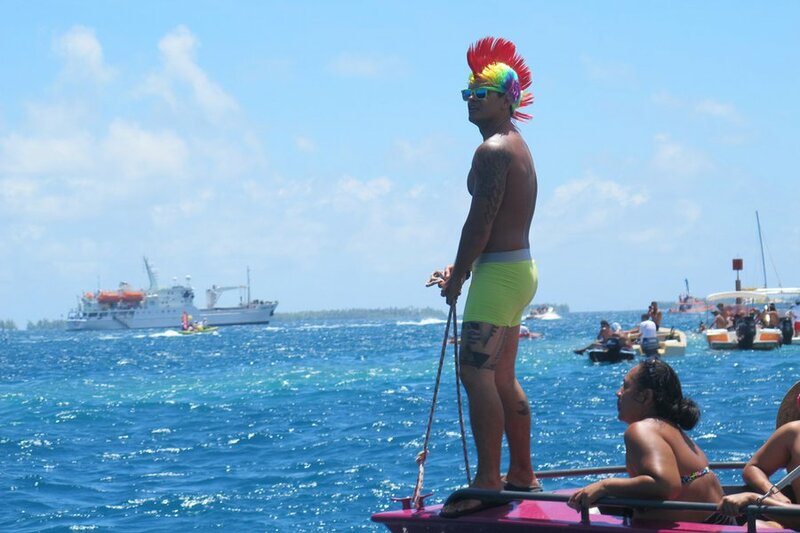 Things got rowdy — jet skis and whalers caused all sorts of wakes and distractions — but the canoe teams forged on. Our boat followed along for awhile, and we clapped, cheered, and bantered with our nautical neighbors. Once the canoes became specs on the water, a parade of boaters made their way to various islet motus, which I learned are uninhabited spits of sand that look exactly like cartoon drawings of deserted islands. Because all the land in French Polynesia is passed on generationally through tribal families, the islands are pretty much open to anyone who wants to use them for secluded picnics, raucous barbecues, and lazy days of sunbathing. We threw an anchor down a few feet from shore. 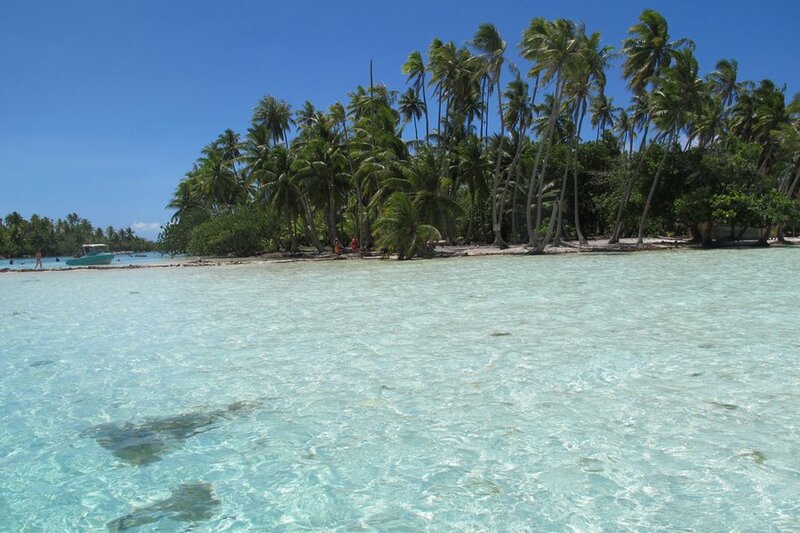 The lagoon was crystal clear, rippling with sunlight, teeming with gorgeous little fish and coral gardens. 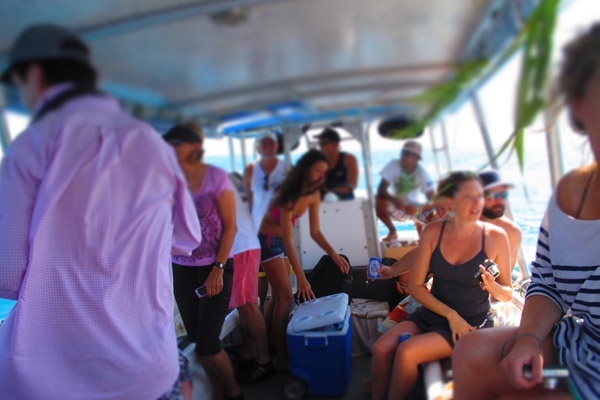 I jumped overboard with my snorkeling mask and swam out to the channel between two motus, where the natural water flume quickly pulled me to the other side as I viewed the coral beds a few feet below. 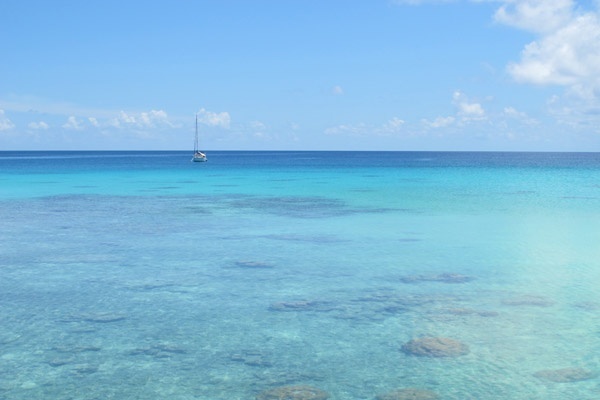 The act is called drift snorkeling — you don't have to expend an ounce of energy to kick or swim as you snorkel. You just float along on top of the water, watching the seascape as if on an amusement park ride. By the time I made my way back to the party boat, the motu picnic was in full effect. 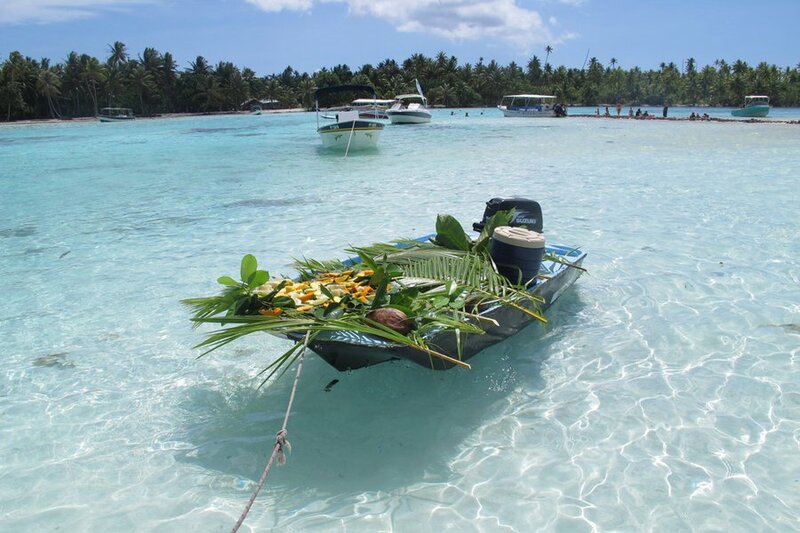 Palm leaves were gathered and laid across a small rowboat — a floating buffet table. Scallops were shucked and turned into ceviche on the half shell. Coconuts were cracked and made into cocktails. Fruit was sliced and diced and laid on a platter of leaves. Out of the cooler came beers and ham and cheese baguettes (it puts the French in Polynesia). 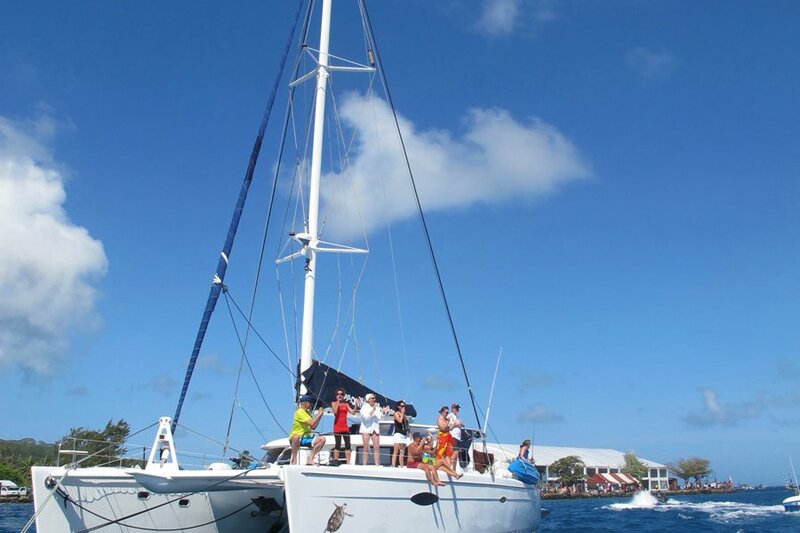 We all gathered around the picnic, wading thigh-high in water, listening to stories about adventures on the Polynesian seas from the captain and his crew and their friends (who joined our picnic from their various other boats). We were warm and full and tan and, for one sun-drenched day, part of a community. That's not something you normally find in a resort town full of private beaches and private bungalows and private islands. But I swear it was like a block party you'd find in a city back home. Instead of sitting on a brownstone stoop, I was treading water, a whole ecosystem thriving below my feet. The sun descended with a swiftness that caught us all off-guard, and then one of our crew revealed himself to be a singer. He serenaded us to the tune of a ukelele all the way back to our dock. 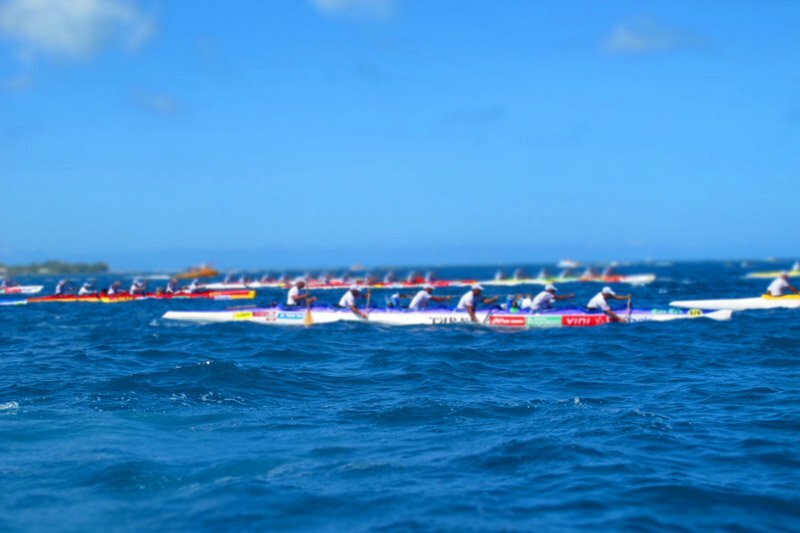 is a three-day, inter-island outrigger canoe race and the most popular spectator sport in Polynesia. Six-man teams paddle for a grueling three days on the open ocean. Yes, yes, of course: Just another day in paradise. There's a summer holiday feel, with people gathering on dry land to watch the parade (and spectacle) of boats. The boat crews look on. 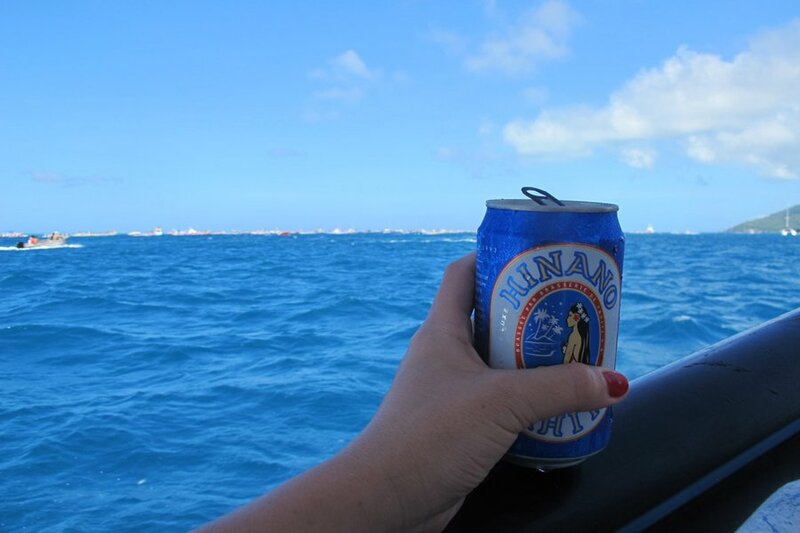 The best route to sea legs: 8 a.m. beer. How's this for a picnic island? 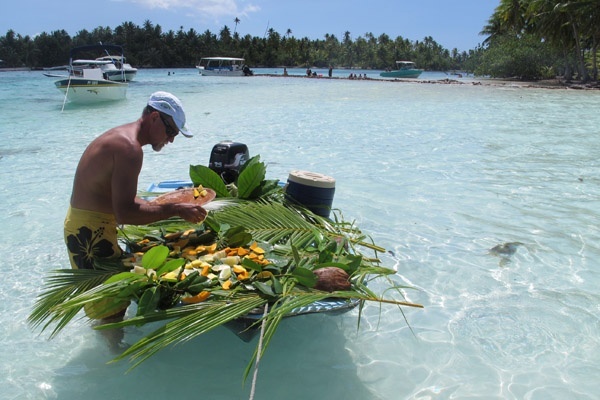 Fresh fruit, ceviche, ham and cheese baguettes (remember, this is French Polynesia). No plates. No napkins. No trash. 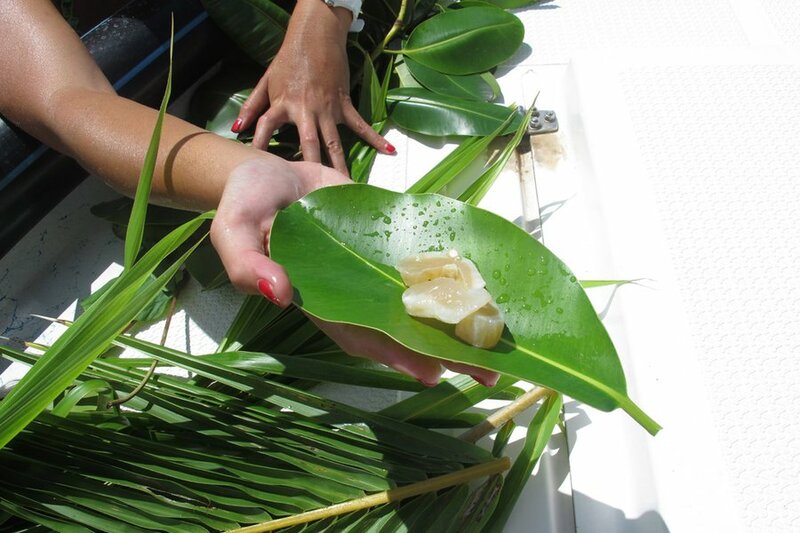 Just utensils plucked from the island for a lunch plucked from the sea. Even with all those paddles, boats, waves, and wakes, the event operates like clockwork.